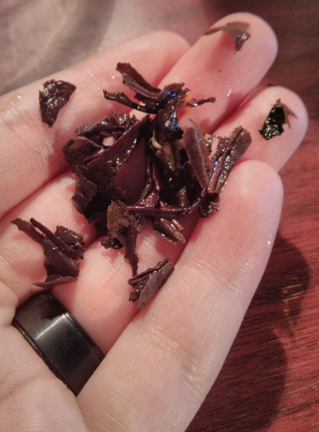 Editor’s Note: I’m pleased to welcome Jen from There’s No Time Like Tea Time for a guest review on LeafJoy today. Art of Tea‘s Peach Oolong blend is easily one of my favorites from them. 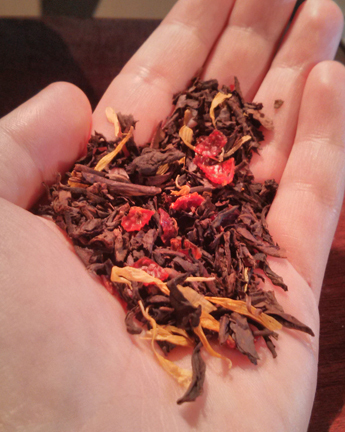 It’s made with organic oolong tea, organic rosehips and a tiny bit of organic marigolds for color. What was surprising to me about this tea is that it has no actual peach in it, yet it has a fairly strong peach taste that withstands at least 3 steepings before starting to dwindle away. The oolong makes a creamy flavor that balances perfectly with the peach. The dry leaves smell very strongly of peach but also have a nutty type scent that you would expect from oolong. 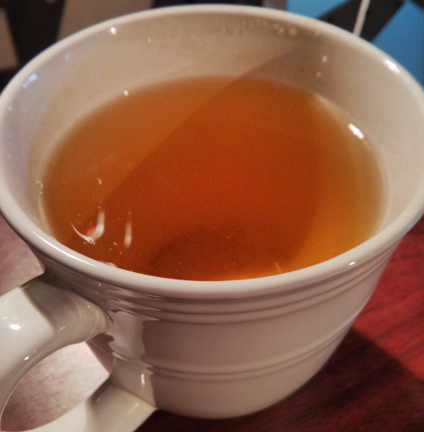 While brewing, the tea smells mostly like oolong but still a little like peach too. Like I mentioned, the taste is very peachy but not like an artificial flavor, it tastes like real peaches! Overall I would have to give Art of Tea’s Peach Oolong 4 out of 5, as it’s definitely one of my favorites, but I’ve also had better tasting peach teas. I highly suggest trying this iced as well, it’s so refreshing on a hot summers day! The tea is currently available at $10.99 for a 2 oz tin. To buy this tea, please visit Art of Tea’s website here.